Doctor of Philosophy in Industrial Engineering | Ph.D. Note: Students pursuing a Ph.D. are given first priority for assistantship awards. If you are an MS student who wishes to continue on for your Ph.D., you should notify your MS advisory committee. You should also contact our Director of Graduate Programs requesting a review of your file for admission. Usually, this request should be made shortly after your oral examination for the MS degree. Letters from your MS advisory committee members are an essential part of the decision process. You should provide them at the time you request a departmental review. If you’re a student with a non-thesis masters, you may apply to be admitted directly into the doctoral program. This allows you to bypass the MS degree. You are encouraged to include “readings” and project courses (ISE 837 and ISE 839) for credit in your plans. This will be considered as preparation for required written examinations and the dissertation proposal. 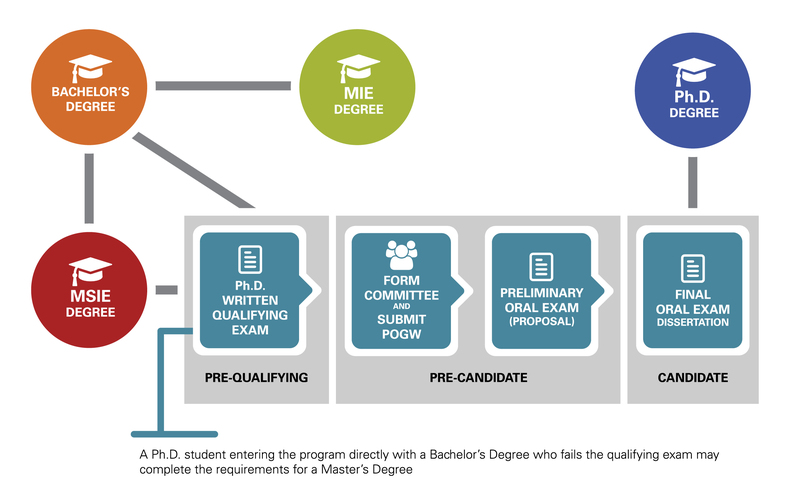 At least six (6) hours of graduate credit should be listed on the POGW for doctoral level research and/or dissertation research (ISE 893 and ISE 895). Got Questions? Please contact our Graduate Administrative Assistant, Amy Roosje | isegradinfo@ncsu.edu | 919.515.6410.